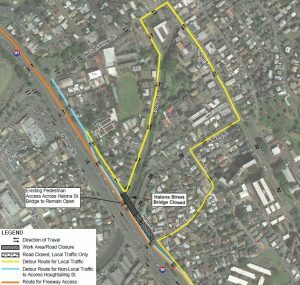 HONOLULU – The Hawaii Department of Transportation (HDOT) alerts the public that Halona Street will be closed to vehicular traffic in both directions between Auld Lane and Kohou Street, including the intersection of Halona Street and Kokea Street, over a 24-hour period from Wednesday, July 5, 2017 through 5:30 p.m. on Friday, July 14, 2017 for the Halona Street Bridge project. A 24-hour closure is necessary as crews will begin to place the new bridge deck. 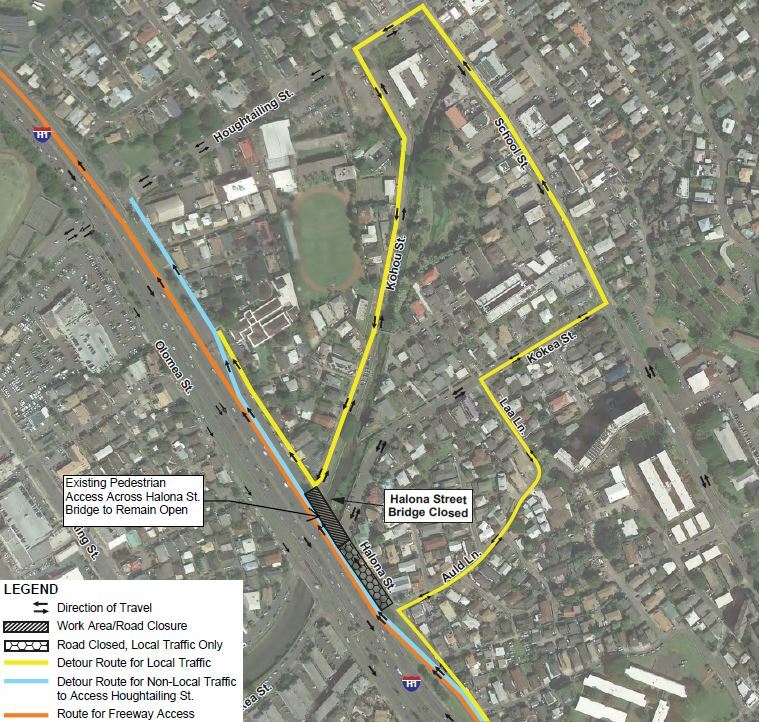 Local traffic will be maintained during this time as well as pedestrian access across the canal via a temporary foot bridge adjacent to Halona Street Bridge. Motorists are advised to use alternate routes if possible, expect delays, exercise caution when driving in the area, and follow all construction traffic controls. HDOT thanks the community for their patience and understanding as we work to update our bridge facilities.